ERP is an industry acronym for Enterprise Resource Planning. Broadly speaking, ERP refers to automation and integration of a company’s core business to help them focus on effectiveness & simplified success.The Information Technology industry is renowned for its adoption of acronyms, which are often widely used, but not fully understood. The term ‘ERP’ itself is not self-explanatory and refers to the business software that has been designed to record and manage your enterprise data. The main objective of an ERP domain is to combine information and processes from all divisions of an organization and merge them to create a structured working system. It can either reside on a centrally placed server or on individual servers that are combined on a separate server. 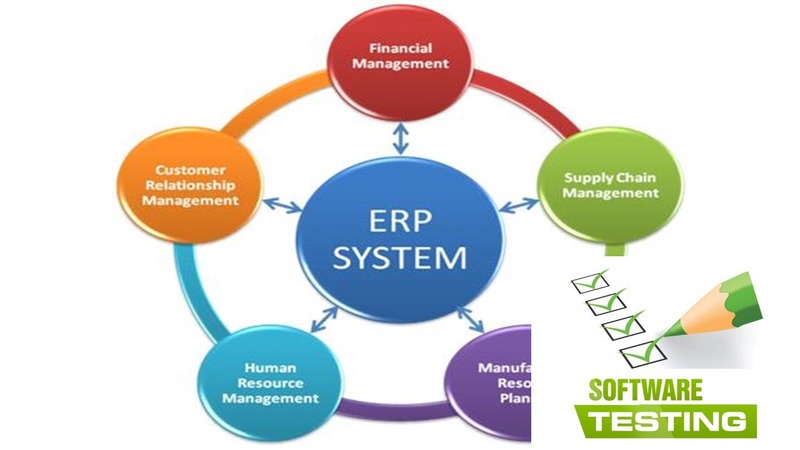 Use of ERP:ERP specifically describes software that is used to connect many aspects of a business together. One major use for ERP software is controlling a supply chain. ERP software was originally very costly, making it accessible only to large companies. Competition has allowed for many less expensive ERP packages, and now small- to medium-size businesses can use the software as well. Major ERP brands such as SAP, Oracle and Oracle’s PeopleSoft have dominated the market since the 1990s. The major benefit of an ERP system is improved coordination across all departments of an organization and thus increasing efficiency. Other benefits include facilitation of day-to-day management. Data accessibility is therefore much better for management, as ERP systems provide up-to-date information for decision-making. Enterprise Resource Planning (ERP) software supports the distribution of information between various functional departments and geographic locations of a company. ERP systems currently exist in many different forms and offer many different features. Various businesses, large and small, have implemented ERP systems. Implementing an ERP system can be a daunting and expensive undertaking. A business seeking to purchase and implement an ERP system should perform extensive due diligence on the available systems and suppliers. Manufacturers: Many manufacturing companies rely on ERP systems to communicate data between departments such as production, shop floor planning, purchasing, accounting. ERP systems are the outgrowth of material requirements planning (MRP) systems. An MRP system calculates the necessary inventory and component requirements for production, and it keeps the production priorities up-to-date. MRP systems, however, cannot communicate with other systems (such as AP/AR and purchasing) within an organization. MRP grew into MRP II, which recognized the need to add supplier communication into the loop. MRP II later transformed into ERP. ERP systems give manufacturing companies a more effective communication tool between internal departments and external suppliers. Many manufacturing companies that use just in time (JIT) inventory management allow external suppliers to integrate with their ERP systems. This integration allows suppliers to make proactive inventory decisions based on real-time data. Big-Box Retailers: Most big-box retail stores use ERP systems to communicate information between individual retail locations, distribution centers, corporate headquarters and suppliers. Because big-box retailers maintain millions of items in inventory spread across multiple areas, an ERP system is the only feasible way to manage all of the data. ERP systems collect individual sales data from each of the retailer’s locations and send that data to the home office for sales and accounting purposes. It also sends data to the distribution center for inventory stocking purposes; in some instances, it sends data to the supplier for purchasing purposes. Many of the big-box retailers use collaborative planning, forecasting and replenishment (CPFR) demand planning techniques with their suppliers. The use of an ERP system makes this method of demand planning more acceptable to suppliers because it gives suppliers direct access to certain key pieces of customer information. 3PL Providers: Many third-party logistics providers (3PLs) use ERP systems to manage internal business requirements and external client requirements. 3PL companies’ act as specialists in various areas of the supply chain industry. Some 3PL providers specialize in warehousing and logistics, while others specialize in returns management and process improvement. While most 3PL companies utilize some form of warehouse, transportation or distribution management system, and these systems typically integrate with an internal ERP system or a customer’s ERP system. These often systems integrate with both internal and external ERP systems simultaneously. Because of the wide variety of tasks performed by 3PL companies, having an ERP system that’s easily configurable is essential. Enterprise resource planning refers to an integrated platform of software applications that form a cohesive business management system. ERP systems cover a wide range of business functions and processes. Everything from order processing to user authentication can be centrally managed and automated with a well-planned and properly implemented ERP system. The modules that make up an ERP system streamline and unify enterprise operations. Barriers that existed between departments are quickly eliminated, and corporate data becomes easily accessible. The purpose of an ERP system is to simplify and automate the logistical process of daily business operations. A good example would be how ERP facilitates a multi-step process like order entry. When sales representatives take orders from customers, the ERP system allows them to instantaneously access credit ratings, customer order history and inventory. This cuts out the need to involve the warehouse or FINANCE department, eliminating wasted time and inefficiencies. Many companies adopt ERP software packages to control aspects of business that are closely related. ERP software will update modules as changes are made within other modules. For example, when a purchase is made in a company’s procurement department, the asset management module is updated to reflect the purchase and accounting is updated to reflect the disbursement. Larger ERP packages are often maintained by an in-house implementation and service group, along with a development team. The ERP manufacturer also generally provides support for the client. The IT infrastructure needed to support an ERP system needs to be robust and diverse with many components able to interact seamlessly. The ERP software itself has to be deployed on an application server, which provides the runtime services and connections to the back-end database. The application server, along with other key components like a Web server and identity management server, falls under the category of middleware. Depending on the capacity needed, the database may be clustered with several database instances taking up the load. All these considerations can make a corporate ERP system and its supporting infrastructure extremely large and complex. Enterprise resource planning, or ERP, is a way of integrating organizational data and processes into a single system. ERP systems will generally have a hardware component, a software component and a process documentation component. ERP systems usually cover several aspects of an organization. For example, an ERP system may cover manufacturing, quality control, manufacturing engineering, parts ordering, accounts payable or human resources. The type of system best suited for your business will depend on the size of your business and the functions that will support your business requirements. • SAP R/3 and B1: SAP is probably the best known supplier of ERP software. SAP offers two solutions. The first is the R/3 suite and the second is the B1 suite, sometimes called “business one.” R/3 is an integrated software system that can support everything from very small companies to very large corporations. R/3 is customizable to meet your specific business needs. R/3 uses a client/server architecture that runs on a variety of platforms, including UNIX, Windows Server and OS/400. It can be implemented using a number of database packages, including Oracle, SQL Server, or DB2. B1 is targeted more at small and medium-sized businesses and offers pre-built modules for finance, warehousing, customer relationship management (CRM), e-commerce, purchasing and reporting. • LN/Baan: Baan ERP software was originally created by The Baan Corporation in The Netherlands. It was purchased by Infor Global Solutions in 2003. Baan ERP software is designed for manufacturing industries working on complex products with complex supply chains that work on different methodologies. Baan is especially suited for large made-to-order and engineering-to-order companies. Baan is used by companies like The Boeing Company, Ferrari, Solectron, Fiat, Flextronics, Evenflo, Navistar and British Aerospace & Engineering Systems. Baan is highly customizable and supports flow chart based process and procedure documentation. • Microsoft Dynamics NAV and AX 2009: Microsoft offers two ERP software packages. Microsoft NAV is targeted toward small and medium-sized businesses and offers modules for analysis, e-commerce, CRM, supply chain management, manufacturing and finance. Microsoft AX 2009 is designed for medium to large organizations and has functions that are useful for companies doing business in multiple countries. It is focused on improving individual productivity and is best suited for service organizations, manufacturing companies, wholesalers and retail-oriented companies. AX 2009 is more customizable than NAV. • JD Edwards EnterpriseOne: EnterpriseOne from JD Edwards is an Oracle-based ERP system. EnterpriseOne is currently owned by the Oracle Corporation. EnterpriseOne offers pre-designed modules that focus on standards-based process engineering and deep understanding of different business processes and requirements. Available modules include, among others, analytics, capital asset management, CRM, finance management, human capital management, manufacturing, ordering systems and project management. Higher level modules can be added for specific industries like real estate, construction, and food and beverage production. • Oracle E-Business Suite Financials and PeopleSoft Enterprise: Oracle offers two other ERP products. The first is E-Business Suite Financials. The other is PeopleSoft. E-Business Suite Financials is an easy to use package targeted to the financial services industry. It supports distributed organizations and offers modules for financial and operational information, dynamic planning, and budgeting, forecasting and multidimensional profit analysis. PeopleSoft is a highly customizable suite that can support complex business requirements. It offers customizable modules for a wide range of business types and styles and runs on a wide range of database systems and hardware architectures. ERP, which stands for enterprise resource planning, is a company-dedicated software that collects, manages and coordinates information into an integrated data flow across the company. ERP has a range of built-in modules that are effective in helping with the company’s everyday activity. Business units that ERP helps with include marketing, inventory management, quality management, finance management, delivery and sales. The modular design of an ERP system incorporates various distinct business modules such as manufacturing, financial, accounting and distribution, with each module taking care of the functions of a particular section or department of an organization. Although these modules are totally separate, they’re integrated in such a manner as to provide a seamless flow of data between the various modules. This enlarges the operational transparency provided for by the standard interface. The separate modules work in real-time with online and batch-processing capabilities. Because organizations are almost always dynamic in nature, ERP systems offer a lot of flexibility to respond to the ever-changing needs of the enterprise. These systems have an open system architecture, allowing them to attach or detach any module as and when required without affecting the other modules. A good ERP system should support connectivity to other business entities in the organization and shouldn’t be confined within the boundaries of the organization. The system should also be Internet-enabled. What Are the Functions of an ERP System? An Enterprise Resource Planning (ERP) system is a purchased software platform that integrates multiple business functions so they operate collaboratively instead of independently. An ERP system is a foundation tool, providing management with panoramic visibility and control of all business activities. An ERP system is software purchased by module or as a complete package. Some vendors specialize in a particular module, like manufacturing, and others, such as Oracle and SAP, offer an enterprise-wide set of modules. ERP modules are integrated via a unified single database that allows non-IT specialists, the primary users, to request and retrieve information on a near real-time basis. This module handles a product’s life from inception, through station-to-station floor manufacturing, quality assurance, material resource planning and send-off to inventory. The financial module maintains not only the general ledger and accounts payable-receivable, but also amortizes fixed assets, does billing and manages assets. Typical duties of this module include order data entry, oversight of the order-to-fulfillment cycle, supplier chain planning and scheduling, and calculating sales commissions. The customer relations management module administers sales and marketing, customer contact and after-sales customer support information. The human resources module maintains demographic, benefit, training, performance evaluation and payroll data for all hired personnel, such as employees, contractors and consultants. The data warehouse module is an information repository that customers, suppliers or employees can access for product or company information. ERP System Administration is a function that manages Enterprise Resource Planning (ERP) software, a suite of integrated business applications. ERP is as much a management methodology as it is software–thus administration is more than just technical or operational–it is full business process support to the enterprise. Basic Role: System administration is not a business function but a role that manages the tools of business. Like a mechanic who fixes a car, an ERP administrator cares for the system by applying vendor provided fixes to bugs, enhancements and supporting the technical infrastructure on which it runs. Skill Requirements: Skill sets for an ERP administrator include technical knowledge of how the system is built and the technical infrastructure it runs on. Also important is a basic understanding of what all of the applications and modules in the system do and how they integrate with each other. An ERP administrator is also a liaison between functional process owners and the pure technical resources such as database administrators and network specialists. System Optimization: Like an engineer managing factory equipment, the ERP administrator monitors system performance, help calls and changing needs of the functional users to determine when to oil the gears or tune the processes. Gatekeeper: Programmers must, before changing code, go through proper procedures managed by the system administrator, who is responsible for the integrity of the system, controls and data. Time and cost are important factors to consider when planning a corporate ERP system. Depending on the size and scope of the project, an implementation can take anywhere from several months to a couple of years. Total costs for the software and implementation are difficult to estimate, but they can range from a couple of hundred thousand to several million. The three biggest ERP vendors are SAP, Oracle and Microsoft. Choosing the correct vendor can have a significant impact on both cost and implementation time, so a thorough analysis of a vendor’s ERP package modules, custom features and supporting infrastructure is a must. ERP is the abbreviation for enterprise resource planning. ERP systems connect accounting information to engineering design data, sales orders and inventory status. Companies implement ERP systems for a number of reasons. ERP systems may be necessary to meet federal accounting or Department of Defense contract requirements. A company may have to implement an ERP system to interface with their customers and suppliers, or both. The current manufacturing resources planning (MRP) system may be upgrading and evolving into an ERP system. One major reason companies implement ERP is to meet contractually required accounting or inventory management standards. ERP may be the only means for a company to continue meeting federal financial accounting standards such as Sarbanes–Oxley. The firm may require an ERP system to meet the complex cost accounting required for federal defense contracts. Another reason companies implement an ERP system is to be able to share drawings, change notices, part orders and changes in the bill of material real time with their supply chain. The ability to feed changes in production plans to the vendor immediately, bypassing the hassle of changing outstanding purchase orders in the process, can prevent the cost of excess orders. Another possible reason for a supplier implementing an enterprise resource planning system is that a vendor must do so to keep the business of a major customer who has installed an ERP system. Some companies implement an ERP system is to provide detailed cost data for all manufacturing processes and products. After rolling out the ERP system, the data creates a much deeper understanding of cost drivers and areas that consume more money than they generate. This, in turn, opens the door for targeted process improvements. Another reason for a company to implement an ERP system is to manage increasingly complex products or projects. Airplanes and missiles can have hundreds of thousands of parts. As these products gain sensors, micro-controllers, microchips and the related wiring to connect all of these smart devices, the complexity only continues to grow. A manufacturer may have to implement an ERP system simply to be able to manage manufacturing plans and orders for their own products. An ERP system allows a company to model of different manufacturing decisions using the ERP software. This avoids the hassle of building financial models of “what if” scenarios in separate software packages. A company may implement an ERP system to allow immediate modeling without having to send their financial records to another firm. Companies sometimes implement ERP systems because the MRP supplier has upgraded to providing ERP software. The software customer would then upgrade their MRP software to an ERP software to avoid changing to a different software package. ERP, enterprise resource planning, is used to integrate all processes and information of an organization into one system. An extensive study of ERP is required before purchasing an ERP program and implementing it. ERP can be used in any type of business, large or small, and it covers all important functions of businesses. Prior to implementing an ERP system, businesses should recognize that careful planning is the key. The better a company plans for this implementation, the faster it can be implemented. Speed of implementation offers advantages to the business. • Study what ERP is. ERP is designed to handle and integrate all business processes and activities into one system. It is vital to understand ERP and of what it is capable. An extensive study of ERP and the company produces a smooth transition into the implementation of an ERP system. • Compare ERP software packages. ERP packages vary by vendor, and it is important to choose a vendor that will provide exactly what your company needs. An ERP package includes hardware and software to implement an ERP system. Finding the right system helps implementation occur much smoother. • Prepare an ERP checklist. This list is used when choosing the right ERP package. It should contain information regarding the business problems and how an ERP package will solve them. It should also list resources within the company and if the company’s resources are sufficient for operating an ERP system. • Determine what is affordable. Most ERP systems are costly to purchase and implement. Many companies fail to recognize that the maintenance costs of an ERP system are even higher than purchasing the system. • Determine who will implement the package once purchased. A company can choose to have a member of its staff implement it, have the ERP vendor implement it or hire an ERP consulting firm to do it. Making this decision is often based on price. Hiring an ERP consultant is the most expensive option, but typically provides the best and fastest results. • Begin the implementation. After all details are considered and the system is purchased, implementation of ERP begins. The process is lengthy for most companies and can take 18 months or longer to fully implement. The world of modern business computing enables companies to use software for easier streamlining and management of company operations. A modular approach to such business management software is known as ERP, which stands for Enterprise Resource Planning. ERP software is a network of modules for performing a certain step of a production process. Using ERP software allows a company to maintain a similar user interface across multiple departments. Using all available ERP modules may not be necessary or feasible for all companies. It is generally best to focus on the areas where ERP software would most benefit. While planning for the estimated costs and resources necessary for the production of a product, a production planning ERP module is a beneficial way to organize data. A production analysis team can use historical production data in combination with any changes in present data to create both a production estimate and a forecast of future production costs. A production planning ERP module can also use historical data to make an informed estimate about production quantity based on the prior sales of the same or a similar product. This prevents the excessive manufacturing of more product than consumer demand is able to handle. Another ERP module is used for the automation and management of purchasing. This software automates the purchase of raw materials for the purpose of manufacturing a product. Thus, the purchasing ERP module is often closely integrated with the production planning ERP module. This software is also frequently integrated with the inventory control ERP module. The inventory control ERP module helps manage a company’s product and resource inventory. The software can automatically monitor the amount of inventory at various locations, such as warehouses, stores and offices. An inventory control ERP module helps a company handle product replenishment and maintain appropriate levels of stock on shelves. The module is also useful for managing an inventory of raw materials for product production. During the process of actually selling a company’s products, an ERP sales module automates various sales tasks, including handling customer orders, shipping of products and invoicing. A company may closely integrate the module with an online store. Companies are always trying to increase their efficiency, no matter whether they make products or offer services. Practices like lean manufacturing try to increase efficiency in how a company uses physical resources like supplies and labor. ERP systems try to increase efficiency by affecting the process the businesses uses, especially the technology it puts to use. This can be useful for some businesses, but constraining to others. With a properly installed and run ERP computer system, a business can make training much easier for all employees. Only a single system needs to be mastered, and each employee then has all the skills necessary to complete multiple tasks. Also, ERP systems can save a business a lot of time, reduce errors, and open the ways a business can use data to analyze current conditions. Implementing an ERP system in a new business can be very effective. Implementing the same system in an older business can be very difficult. All employees must be trained, and there will be significant down time as the business switches all applications over to the new system. Some businesses cannot afford the profit loss this downtime would require. ERP systems also tend to have industry standards for specific types of businesses, and the strict molds may lower creativity or competitive advantage. ERP systems do not fit the business plans of every enterprise. Often, ERP systems must be customized to allow for specific tasks. Not all ERP systems allow this—depending on the system or company the business uses, it may be against policy to make such drastic changes to the application. Support for ERP systems often can be difficult to depend on. Technical response can be adept at dealing with minor problems, but major complications with the ERP systems can be beyond the limited customer service available to businesses. Advantage: Integration is ERP’s most important advantage is arguably its ability to integrate virtually all business departments of a given company into a single, cohesive platform. In addition to synchronization of work flow, ERP also leads to global decision optimization, a clearer overview of enterprise functioning and quicker performance. Disadvantage: Startup CostA major disadvantage of ERP is its overall startup cost. The implementation requires new hardware, training and consultants to give instruction in addition to the software itself. This creates a high price tag that may not be acceptable to a company—especially for a system that cannot guarantee profit. Advantage: Reduced Operating CostsOnce the startup costs of ERP are navigated, users may discover rewards for their efforts in the form of reduced operating costs. ERP enables companies to have greater control over marketing, production and inventory. This reduces costs as well as reliance on help desk support. Disadvantage: External Security Designed with internal security as a No. 1 priority, ERP is disadvantaged by its vulnerability to external security threats. External attacks can come in the form of dictionary attacks that aim to crack weak passwords or applications flooded by buffer overflows allowing hackers easy access. Other methods include duping users into divulging credentials—this can lead to hackers entering a system as authorized users.